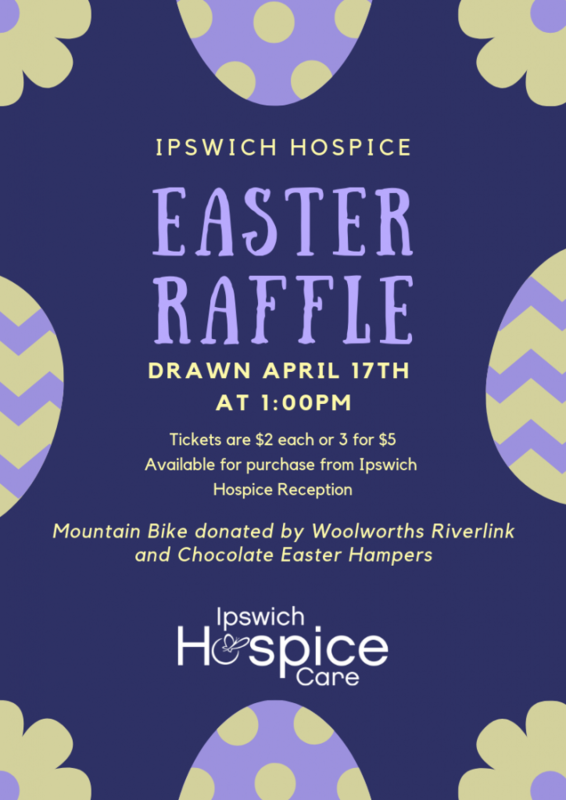 We have an Easter Raffle running at Hospice. Tickets are $2 each or 3 for $5. Tickets are available at Hospice reception. The winners will be drawn on Wednesday 17th April. 2nd and 3rd prizes are Wicker Baskets filled with chocolates.